This past weekend, the students, mentors, and parents of Texas Torque gathered at the Strake Jesuit school in downtown Houston for the 2018 Lone Star Central Regional. Armageddon, our 2018 robot, performed consistently well in qualification matches and earned us a spot as captains of the first-seed alliance. We teamed up with team 4587 Jersey Voltage, the second seed, and team 6377 the Howdy Bots. Throughout elimination matches, we performed well, demonstrating coordinated autonomous modes and skilled cooperation. 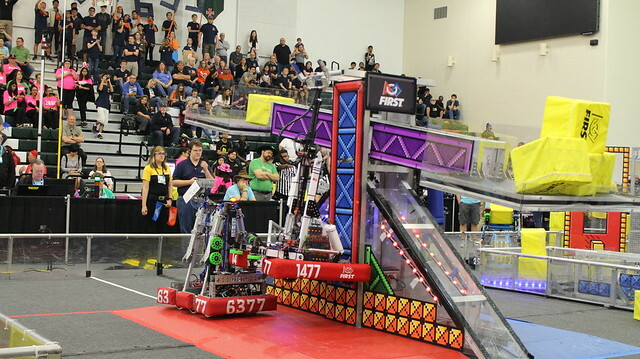 With the help of our alliance partners, we emerged undefeated and with the regional win. 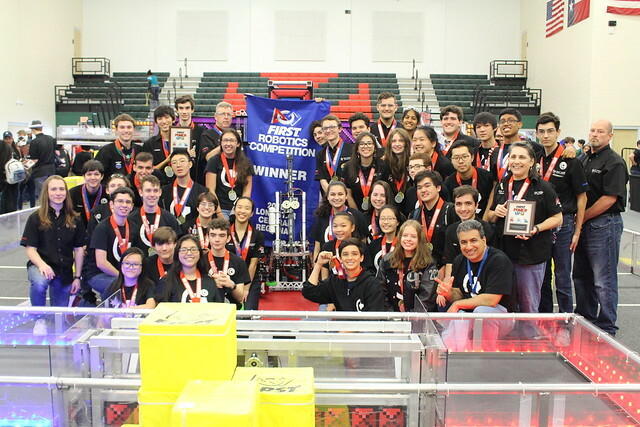 This is the second year in a row our team has won the Lone Star Central Regional, and we couldn’t have done it without our supportive mentors and parents! 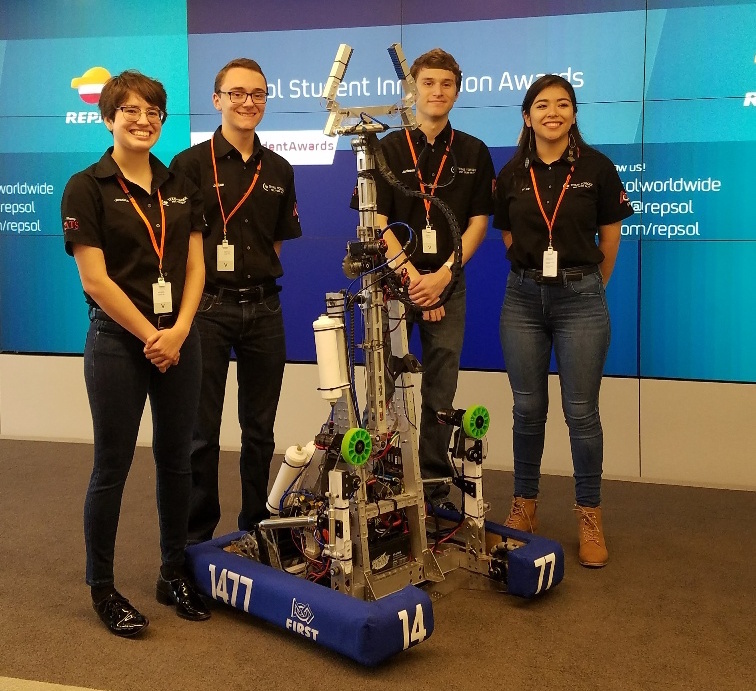 During the awards ceremony, we made quite a few trips down to the field to collect our awards: on top of being Regional Winners, our team won the Safety Award, as well as Engineering Inspiration for our outreach efforts. We were also thrilled when Jackson Schilling, our Mechanical Lead and Sponsorship Liaison, won Dean’s List! He is our team’s FIRST Dean’s List Finalist, and we are so proud of everything he has done for the team. 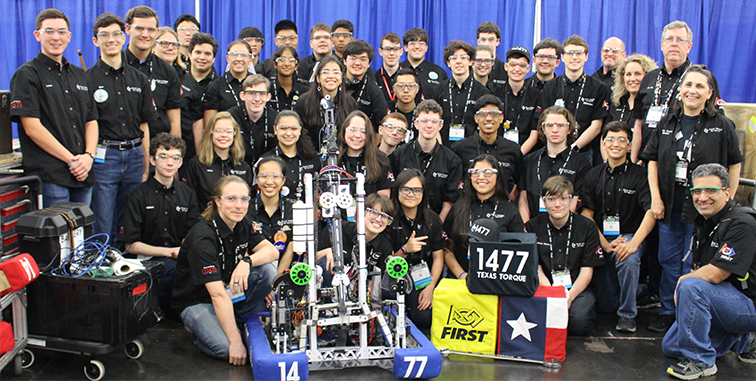 Texas Torque would like to thank our amazing alliance partners 4587 Jersey Voltage and 6377 Howdy Bots for a great run in the Lone Star Central Regional. We’d also like to congratulate the finalist alliance, including team 5417 Eagle Robotics, the Regional Chairman’s Winners. Our team will be competing in the South Florida Regional next week! Follow us on Twitter, Facebook, or The Blue Alliance for updates on our progress.